Everyone loves tacos for dinner. Serve tacos with a simple side dish and you have a complete family dinner in no time. 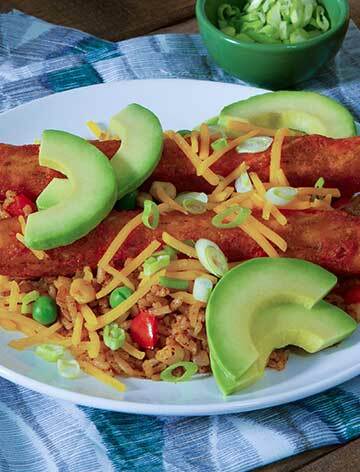 Loaded with veggies, the quick Mexican Rice is easy to prepare. Tacos can be served with salads and roasted veggies, too. With tacos in the freezer, you can be creative and add the veggies you have on hand for crowd-pleasing meals any day of the week. 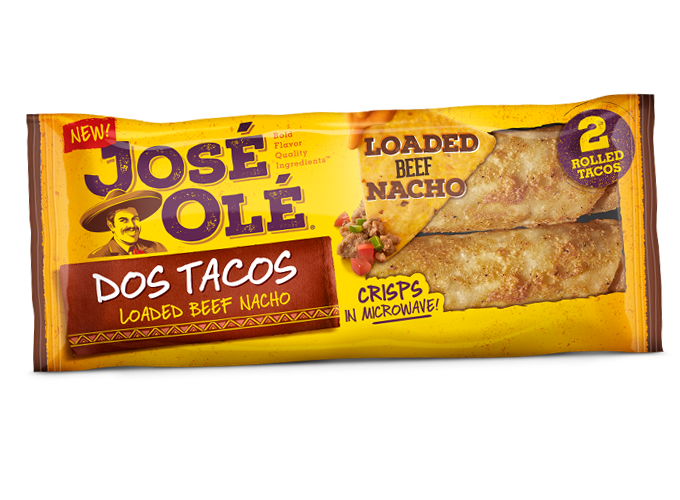 Follow the steps to prepare our Loaded Beef Nacho Rolled Tacos with Mexican Rice. 1. 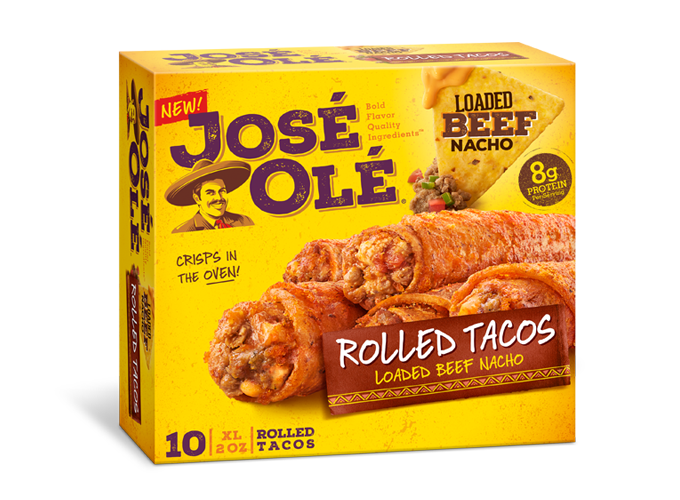 Prepare José Olé Loaded Beef Nacho Rolled Tacos according to package directions. 2. Meanwhile, heat oil in a saucepan set over medium heat; cook onion, red and green pepper, Mexican chili powder, salt and pepper for 3 to 5 minutes or until slightly softened. Stir in rice; cook for 2 to 3 minutes or until rice is well coated. 3. Stir in 2 cups water; bring to boil. Reduce heat to low. Stir in corn and peas. Cover and cook for 12 to 15 minutes or until rice is tender and most of the liquid is absorbed. Remove from heat. Cover and let stand for 5 minutes; fluff with a fork. Stir in lime juice. 4. Divide rice among 4 plates. 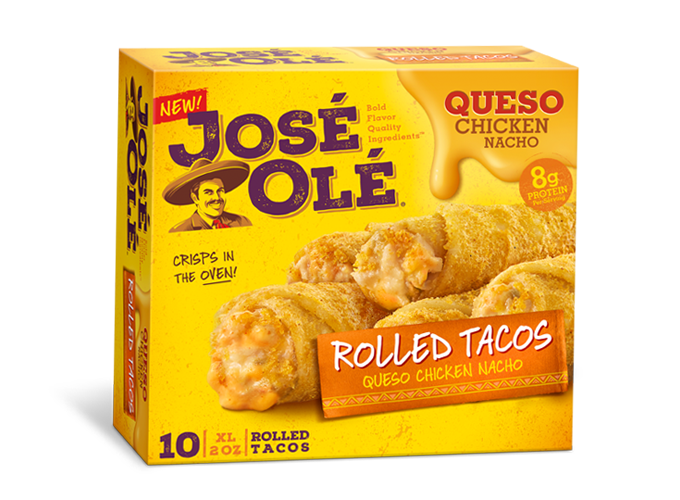 Top each serving with 2 Loaded Beef Nacho Rolled Tacos, avocado slices, cheese and green onions. – For added nutrition, substitute brown rice or quinoa for the rice. – Add more veggies to the rice if desired. – Use whatever veggies your family likes in the rice; try green beans, broccoli or zucchini.